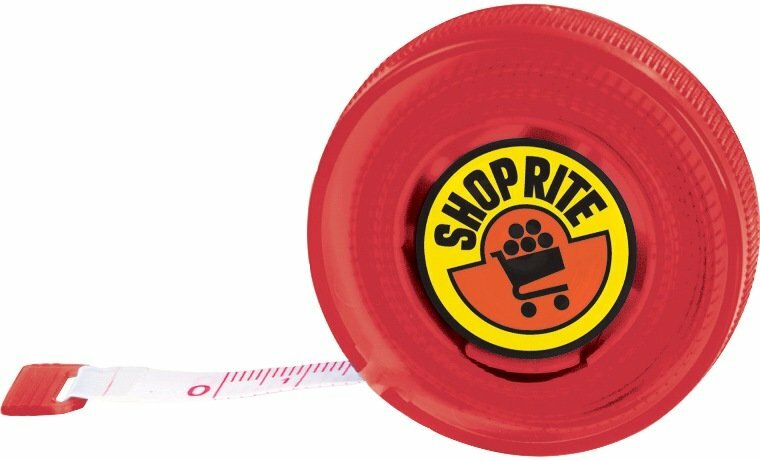 Timeless appeal and applications are abundant for the Pocket Tape Measure. Features are round plastic body, 60 inch polyester tape mm & inch scales. Overall size is 2 diameter x 9/16 thick. Individually poly bagged. Price includes a one color imprint one side in an area 1 3/8" diameter. a running charge of $.39 each, no extra setups. Logo requires factory ready ai, eps, pdf art.